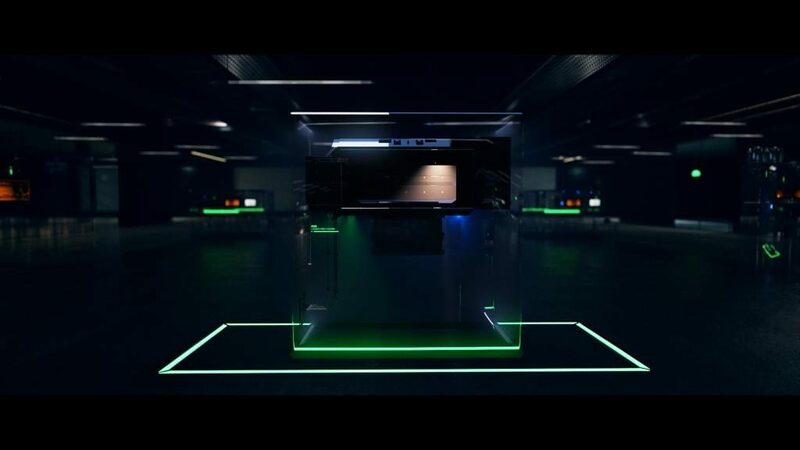 Late in 2018 leading industrial 3D printer manufacturer EOS launched details of an upcoming “million laser” technology. 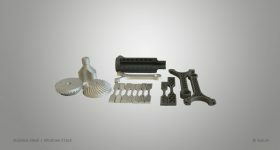 Termed LaserProFusion, this polymer additive manufacturing method is “potentially limitless” in output, producing complex, serialized, strong and lightweight components in a matter of seconds per piece. 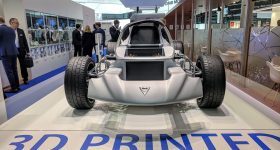 After seeing the first parts to be produced using LaserProFusion at Formnext 2018, 3D Printing Industry was given the opportunity to speak with two leading authorities on the technology’s development: EOS Chief Digital Officer, Güngör Kara, and Nikolai Zapernick, EOS’ Senior Vice President Central Europe. 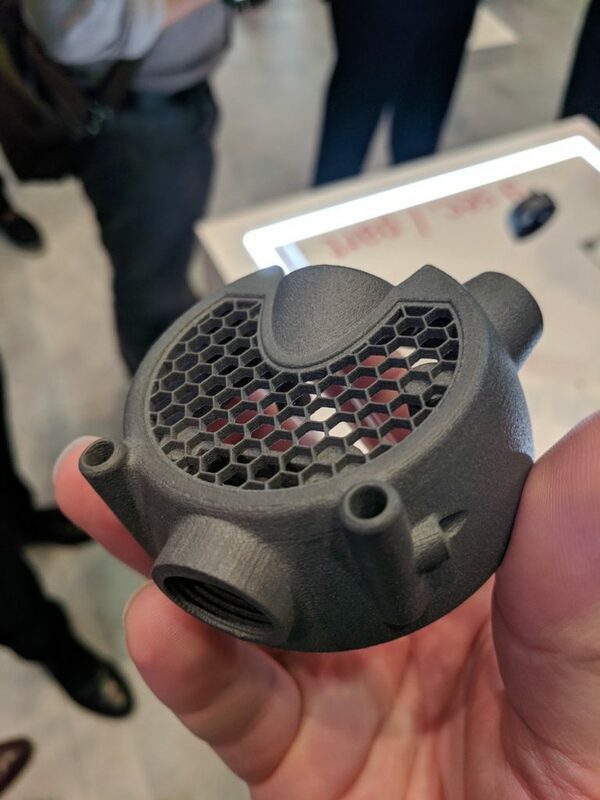 In conversation with Kara and Zapernick, we learned how the LaserProFusion is to serve as a feature of the company’s pursuit of 3D printing for production and scale, and is sending a strong message to competition from HP. 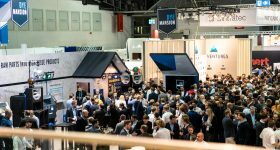 The EOS booth at this year’s Formnext was chock-full of applications that had been keeping the company occupied for the preceding 12 months. 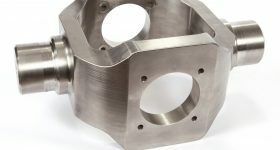 In metal, the company displayed large components produced for Siemens, a complex, copper engine components, and the 3D printed thruster casing’s for Gravity Industries’ jet-suit. For polymers, EOS had its Under Armour shoe collaboration and the mass-produced 3D printed brush tips now commercially available in Chanel LE VOLUME Revolution mascara. After the first day of announcements, these 3D prints were joined by an innovative demonstrator of LaserProFusion technology: a perspex prism, standing roughly 10 feet tall, containing hundreds of 3D printed, palm-sized caps. 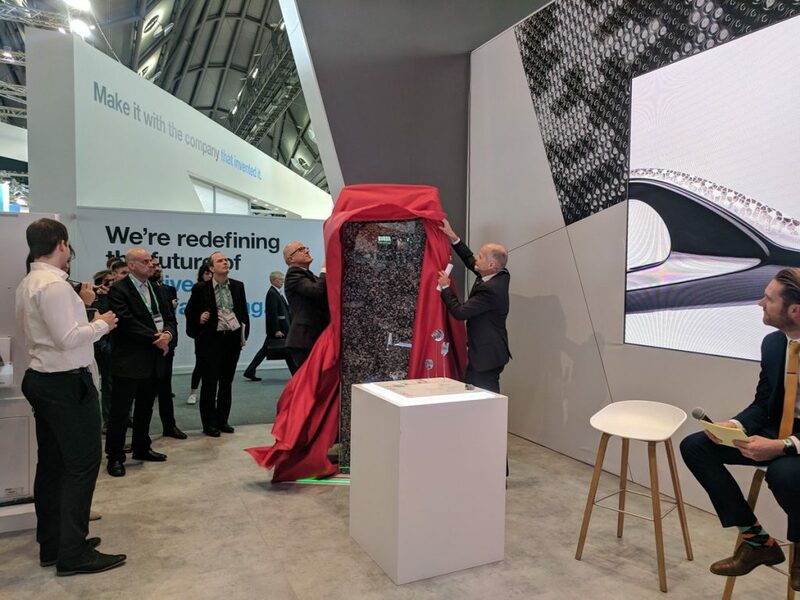 Dr. Adrian Keppler, CEO at EOS, unveils the LaserProFusion demonstrator at Formnext 2018. Photo by Michael Petch. The P 500 released by the company in 2017, is marked under half way up the prism – demonstrating that the single-job output of LaserProFusion is over double the level that the company is currently working at. This is how EOS hopes to compete with existing manufacturing methods. 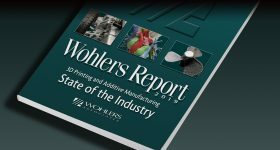 “[Against] injection moulding it will never compete with 100,000 parts, but [LaserProFusion] will challenge in the 5,000 – 10,000 range with customization,” demonstrates Zapernick. 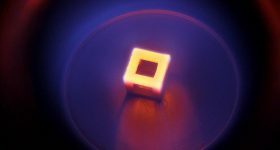 At present, LaserProFusion is still some 3 years down the line before it will be integrated into a commercial product by EOS, which is why the company recently introduced Technology Readiness Level (TRL) indication. According to Zapernick’s estimate, that technology has been in development for at least 8 years so far. 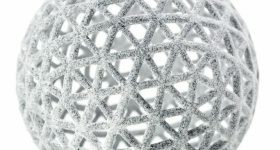 As an already well-established household name in the tech sphere HP’s introduction to 3D printing with Multi Jet Fusion (MJF) technology in 2016 has clearly been felt by others already in the industry. “HP is a competitor because people who don’t know the industry will go “Oh hey, HP,” and assume that because they have printers, laptops etc. 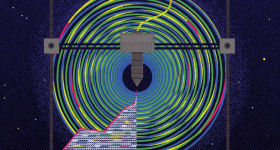 that they must be great in 3D printing as well,” says Zapernick. As Chief Digital Officer at EOS, Kara is in charge of maintaining the “digital transformation” of EOS, making sure that as the company pursues production-scale quantities with its hardware the technology surrounding it keeps up to speed. 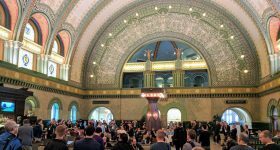 Specifically, Kara explains, the aim is to ensure that the machines are intelligently connected, and capable not only of organising their own operations, but also reorganizing in response to changes in the pipeline. Examples of these features include the an ability to “talk” to other machines and the operator, plus pre-warnings for potential print errors. 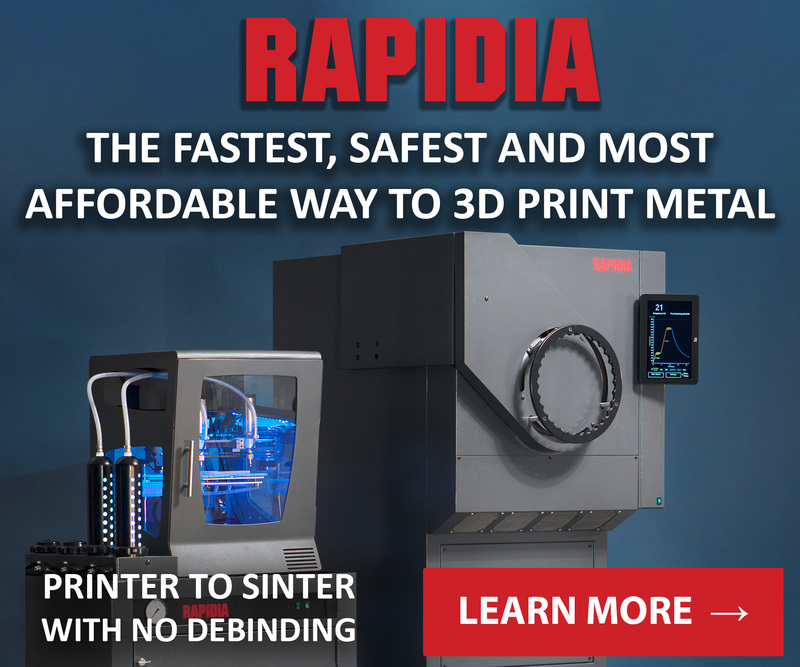 All are a necessary requirement for 3D printing’s full integration into existing production workflows: “Integration means part flow and data flow,” adds Kara. A good example of digitization at EOS is in the company’s Next Gen AM project with Premium AEROTEC and Daimler. “The goal [with Next Gen AM] was to take the entire value chain and really see how to squeeze costs to make the process more cost effective,” adds Zapernick. The next update of this project is scheduled for release in April 2019, after which point the companies will close the doors to the public again in order to scale up production. As for LaserProFusion, the company has already released further concept images of the technology since we spoke to Kara and Zapernick. 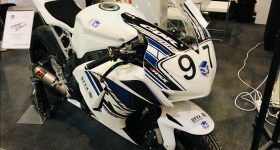 The promise of continued innovation from EOS bodes well for an interesting 2019. 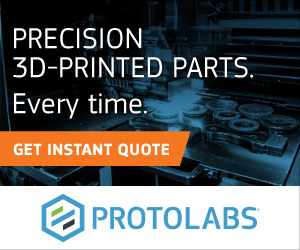 Nominate EOS, LaserProFusion technology and more in the 2019 3D Printing Industry Awards. For more exclusive interviews and news subscribe to our newsletter, follow us on Twitter and like us on Facebook. Looking for a fresh start in the new year? 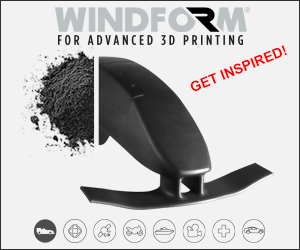 Visit 3D Printing Jobs to get a head start.